We are working towards getting a formal volunteer program off the ground at HuskyRomi. This is available to both local (South African) and international volunteers. Should anybody be interested to become a volunteer or to assist with the program, kindly contact Larry at larry@huskyromi.co.za or call him on +27 71 679 5141. 1. Decide whether you wish to do a once off donation or if you want to continue with a monthly sponsorship. 2. If you wish to do a once off donation, kindly submit it into the NPO account and notify Larry about it. 3. Decide what amount you are prepared to donate on a regular monthly or yearly basis. 4. Decide towards which individual wolf or pack you wish to contribute. 5. Decide on which date you will start the contributions. 6. Please notify Larry about your decision. 7. Please notify us if you cannot continue with the sponsorship for our budgeting purposes. We require around R1000 per pack or enclosure or R500 for a specific individual wolf per month. Any amount however will add up towards this goal and assist us to balance the budget. HuskyRomi has been approved as a registered Public Benefit Organisation with SARS. This means that donations made to HuskyRomi as from the 5th of December 2016 will be tax deductible and a donation receipt with the PBO detail may be requested from Larry. For any questions about or should you wish to sponsor a wolf or husky at the HuskyRomi Wolf Sanctuary, please contact Larry Paul. Email :- larry@huskyromi.co.za , Whatsapp or SMS :- +27 71 679 5141. Please leave a message and you will be contacted as soon as possible. Kindly also let us have your name and contact details. Should you wish to name a wolf, for instance in remembrance of a loved one or pet, you may arrange it with Larry. We just request that you then will be prepared to do a full monthly sponsorship of that wolf for a period of at least two years. Should you be interested in arranging a team building weekend for your employees or just a fun, working couple of days with friends, all to enhance the lives of the wolves, please contact us and we can arrange to accommodate you. There are numerous ways that something positive can be done at the sanctuary. 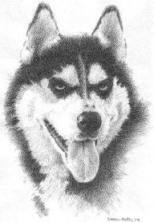 Sponsorship and donation money may be paid into the HuskyRomi NPO cheque account. HuskyRomi Rescue and Wolf Sanctuary. Please put your name as the reference to assist us with bookkeeping.